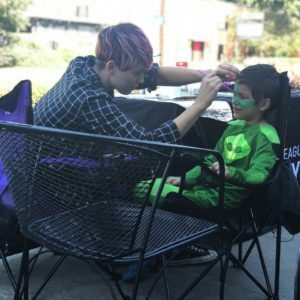 October 17, 2018 – Junior League of Lafayette’s SMILES committee and the families of Miles Perret Cancer Services are all about treats, not tricks! The committee helped to kick off the first SMILES event of the League year with a fun fall social at Borden’s Ice Cream. 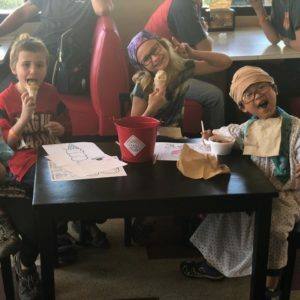 The families celebrated with a Halloween theme and enjoyed having their faces painted, hanging out with a balloon artist and cooling off with delicious desserts! Thank you to the SMILES committee for making the day special for the attendees.